I have a confession to make. I have been bitten by the constant re-decorating bug! Help! I just did a mini makeover of my living room with drop cloth cushions and a drop cloth lamp shade. But I still felt that there was something missing. 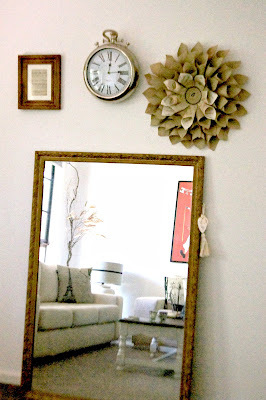 How about a gallery wall? The photos from our recent Europe trip were still waiting to be put up somewhere. Here's my inspiration…I love the neutral palette of pottery barn living rooms and the fact that introducing something new just changes the entire look and feel of the room. This is probably my most favourite photograph! 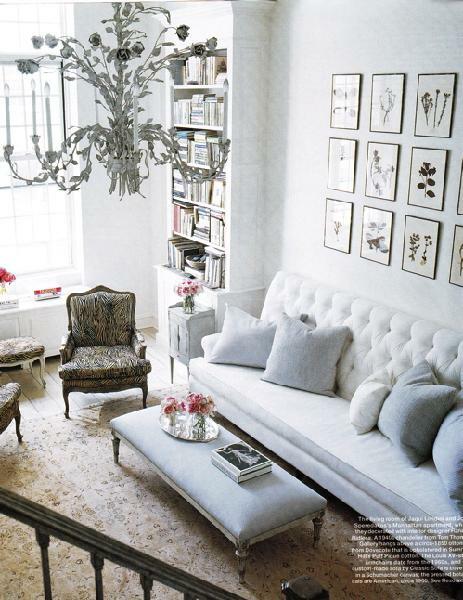 I love the black and white photographs behind the sofa and the neutral earthy tones. Again I love the large frames behind the sofa, they add interest to the room. 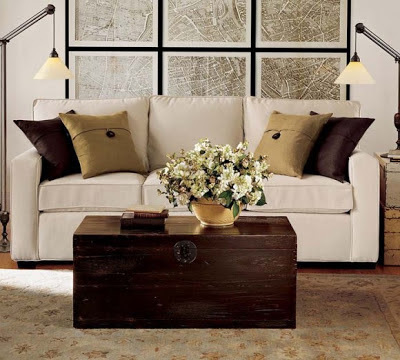 Neutral sofa! Loving the beige. 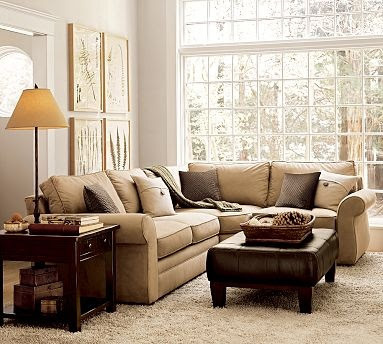 Again neutral but maybe a bit too minimalistic for our home. 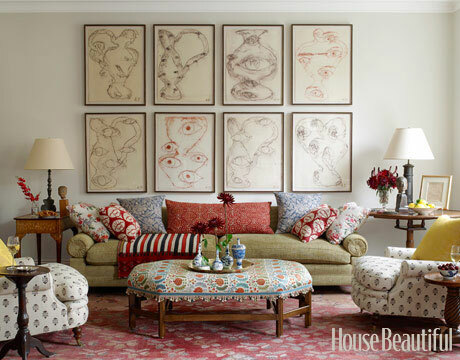 Love the use of colour, patterns and textures in this living room. And adore the frames. But maybe a tad too colourful for me. Framed maps, such a statement! 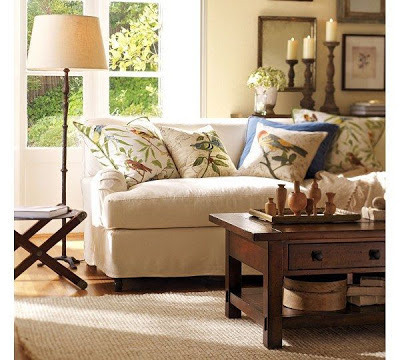 Cool and calm living room, again the focal point behind the lounge! So I went and bought some frames, printed out my photos in black and white and bought some plain white thick paper to use as matting for the frames. I spray painted a few accessories and moved some furniture around. It's coming together. Will post the photos of the complete makeover soon. I've got news for you Rani - that obsession you have? It's only going to get worse and worse lol - there's no cure for it whatsoever! 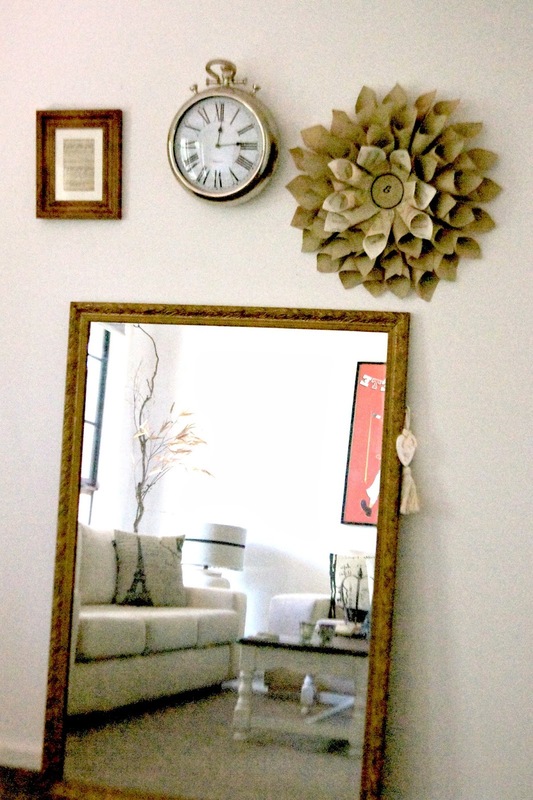 Can't wait to see your new gallery wall! Lovely choices - I love all the layered neutrals.